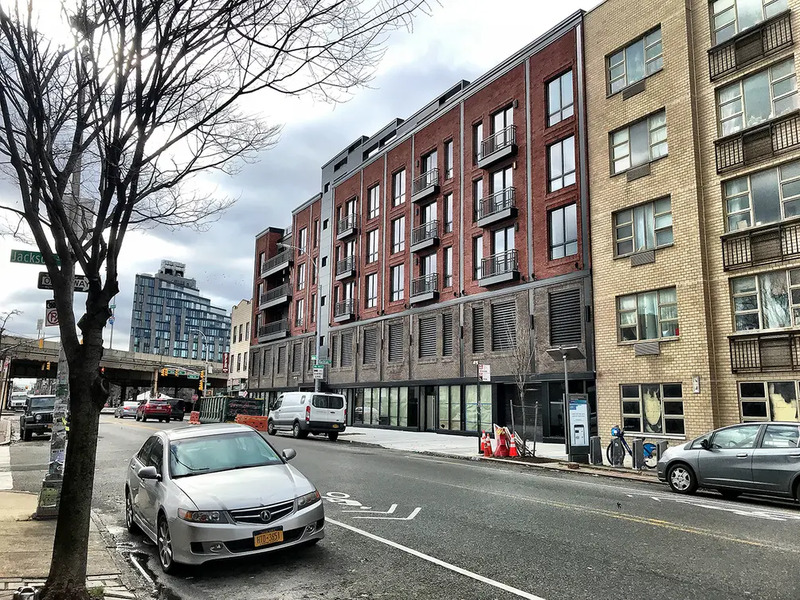 A newly constructed building at 505 Union Avenue in Williamsburg has launched leasing for its collection of boutique rentals. 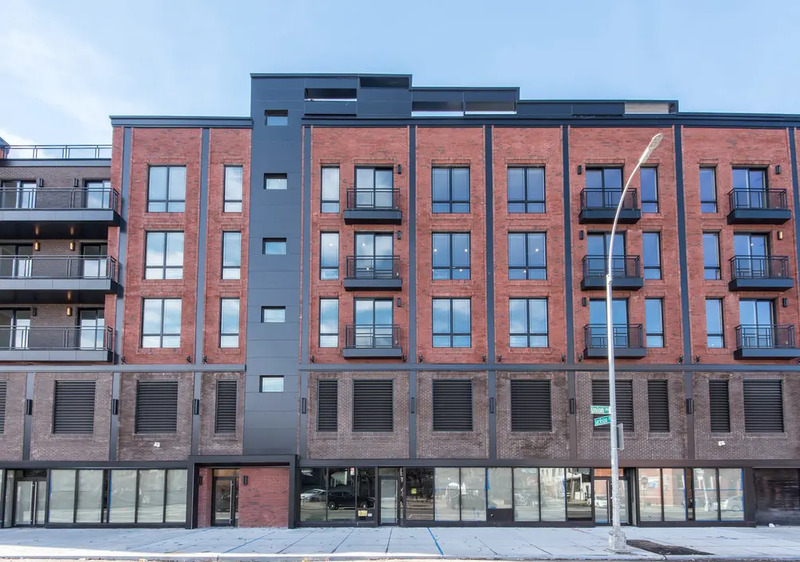 The five-story building known as Union Corner has 23 contemporary homes in studio and one-bedroom layouts located on the upper three floors, spread over 20,416 square feet. It was developed by Davbel Properties and includes 9,590 square feet of commercial space on the ground floor along with car parking and bike storage on the second floor. Brick and Mortar handles leasing and the no fee listings offer 1 month free on a 12-month lease with net prices from $2,935/month. Layouts vary but each residence includes a private terrace or Juliette balcony and in-unit laundry. Union Corner is defined by its red and grey brick façade and ground floor glass window wall. The location is walkable to the L train at Lorimer Street and G train at Metropolitan Avenue. Inside, each residence has hardwood floors and expansive windows with layouts large enough for living and dining areas. Kitchens have white granite countertops and breakfast bars, a globe lighting pendant and also stainless steel appliances including a dishwasher and microwave. Modern bathrooms have fully tiled showers and stone flooring. While each residence has private outdoor space, the building has a shared furnished roof deck, too. Contact the Union Corner leasing team here or search for more rentals on CityRealty.